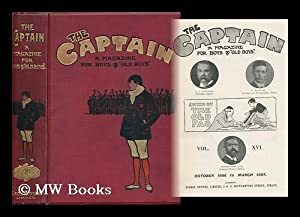 The Captain : a Magazine for Boys and 'old Boys' / Edited by the Old Fag - Volume XVI; October 1906 to March 1907 by The Old Fag, Ed. : London : G. Newnes Ltd. [1906-1907] First Edition. - MW Books Ltd.